Druridge Diary: Natural Causes or Suspicious Circumstances? I had a short wander around the patch yesterday afternoon. I walked back along the beach and made a diversion through the plantation. A dead barn owl. It looked as though it had been dead a while, it was quite smelly and I disturbed a sexton beetle when I turned it over. It was a second calender year male and was wearing a BTO ring, it had been ringed by me as a nestling in June 2014 at a nearby farm. I knew that an owl had been using the plantation as there has been pellets under a tree for a few weeks. So, what caused its demise? Well it could, of course, be natural causes. It may have also ingested some poison destined for something else or it could have been shot. 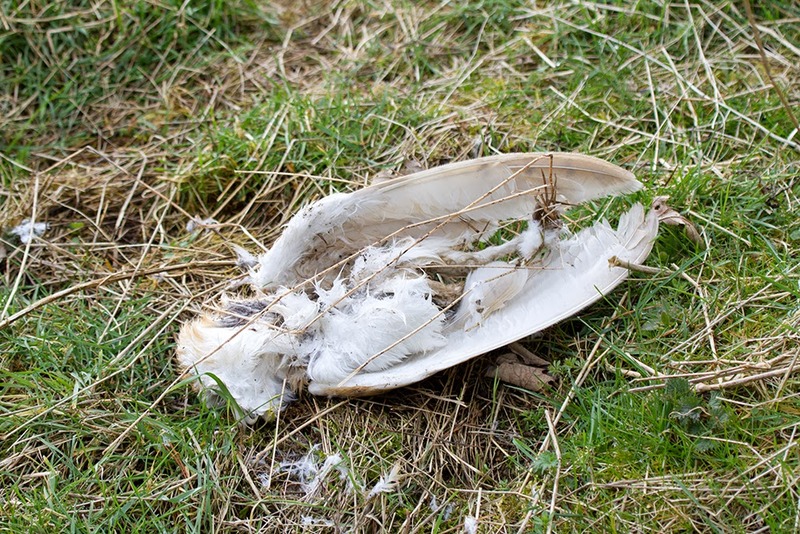 This isn't the only owl to die in odd circumstances at Druridge recently. 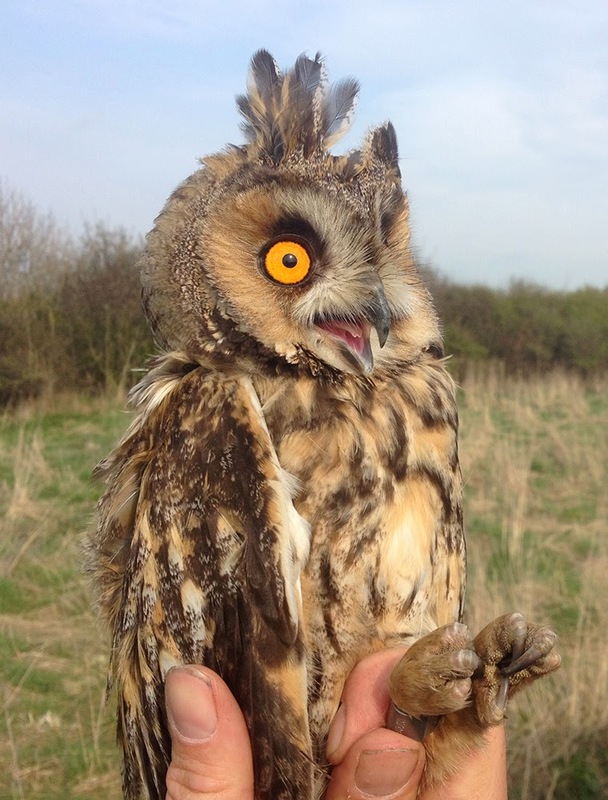 On 5th May, last year, I caught a long-eared owl in a mist net, an adult female with a brood-patch We received information back from BTO that it had been found at 'Druridge Bay' 12 days later, without a head. It isn't unusual for mammalian predators to remove heads of prey by shaking them, foxes and dogs for example would do this. What would be unusual, would be for a mammalian predator to catch a long-eared owl. My suspicion was that this bird had been shot. I tried to find out more about the circumstances in which the bird was found, but didn't get anywhere. Lads with guns are regularly seen at Druridge, mostly after rabbits. Some of them, however, fall in to the 'shoot anything that moves' camp. I've always been reluctant to call the police as, because the incident involves a firearm, they send the armed response team. I have spoken to the local Police wildlife crime officer about this and he encouraged me to give them a call, at least with information. If you are at Druridge and see lads with guns, give the police a call on 101 and take down as much information as you can. They will be on National Trust or the next-door farmers land and they haven't got permission to be on either. On a more positive note. There were eight yellowhammers at High Chibburn today in a mixed flock with tree sparrows and reed buntings. I only saw one yellowhammer at Druridge last year. A sand martin was at Hemscotthill on my way home, but none on the patch yet. I found a decapitated LEO at Widdrington not too long back, had been chewed up a bit but it got me thinking. Shame about the Barn Owl.